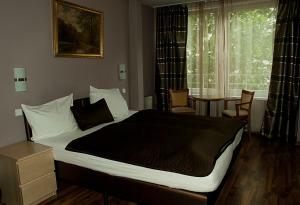 Pension Levi is centrally located in Berlin, a 15-minute walk from Potsdamer Platz. The guest house offers free WiFi access. Each of the rooms at the guest house comes equipped with a flat-screen TV and a private bathroom with hairdryer. A large variety of restaurants, cafés and bars can be found within a 5-minute walk. The Brandenburg Gate can be reached in 15 minutes using public transport, and it is 2.5 km from the guest house to Berlin Zoo. Museum Island is 4 km away. Kurfürstenstraße Underground Station is just 200 metres from the property.